The Moslem Royalties Of Oil & Gas : The Malaysian Old National Palace & “Sultans Of Science” Exhibition @ PetroSains, KLCC. 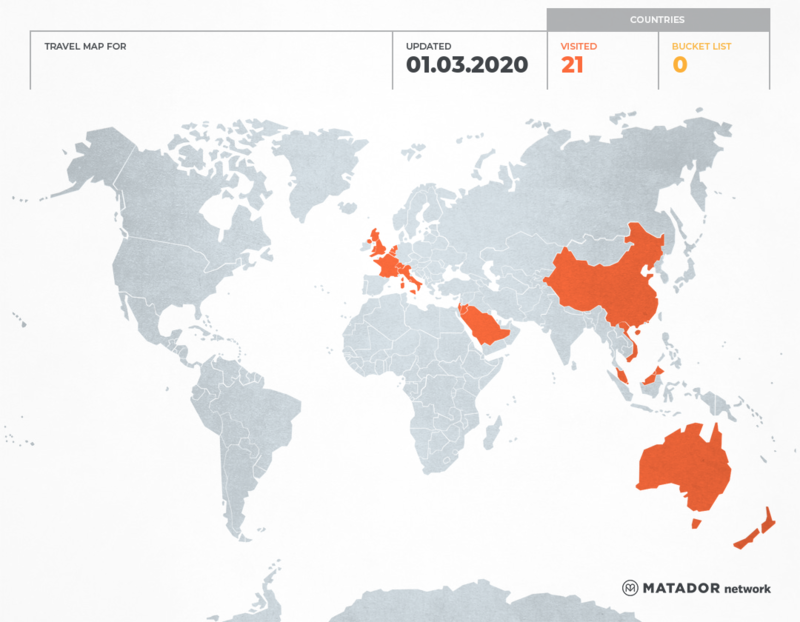 Like I said; this year I am focusing more into Malaysia; but you never know where I could be,; perhaps flying abroad; given suitable time, opportunity and price! Hahaha! Anyway, there is so much to discover about our own Malaysia. As beautiful “Malaysia, Truly Asia” can be, I take every single opportunity to explore our own backyards! 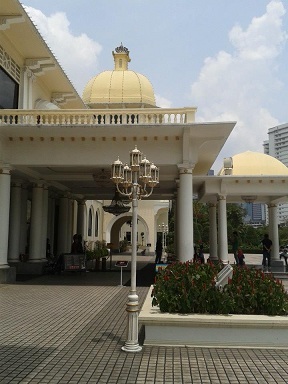 The majestic Malaysian Old National Palace at Jalan Istana (Palace Road). 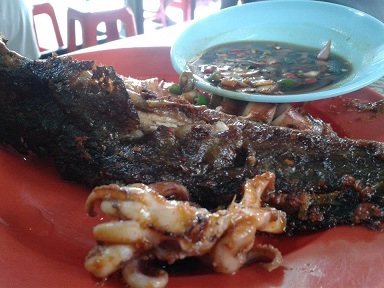 Always hear about the famous grilled-and-roasted fishes or “Ikan Bakar” Bellamy Road (‘Jalan Bellamy’) which is said to be located behind the old National Palace. At first, we thought we were lost because using the backyard-road, it was kinda quiet and no sign of stalls could be seen; merely an army/regiment camp. Drove further and finally saw the food arcade. As it was Sunday, it was quite alright; not as hectic as during the weekdays (according to several blogs; especially during lunch). 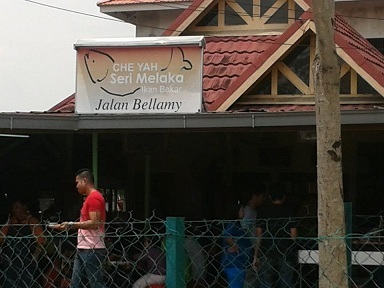 But as the time went by, more people are coming gradually; thronging the restaurant we visited called “Che Yah Seri Melaka”. 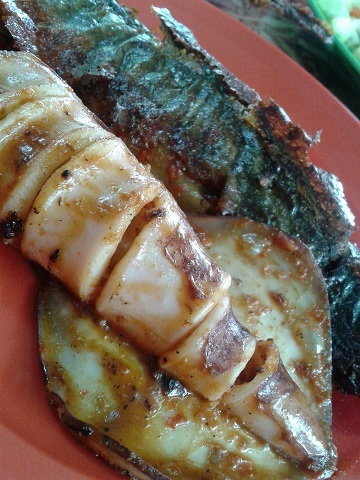 I can vouch that the grilled-and-roasted fishes (catfishes; my favourite) and the squids were AWESOME!!!! Yummy!!! Finger-and-lips licking!!!! 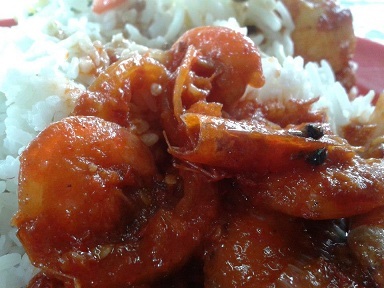 Seriously, my mouth waters as I am jotting these down. Yummy! Perhaps I will go there again the next time (,”). Try! OH MY GOD! 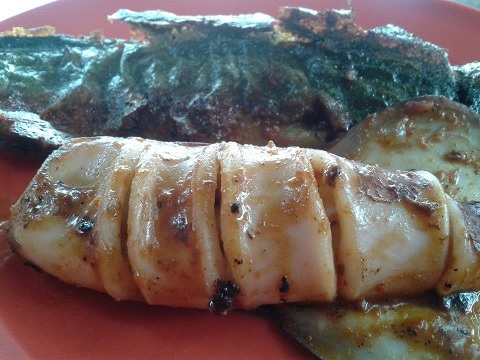 I can still imagine the delicious succulent roasted-and-grilled squids!!!!!! Looking at these pictures above make my mouth waters and my stomach keeps screaming – RIGHT NOW! After that, went to visit The Old National Palace which now is converted into a museum-like spot. 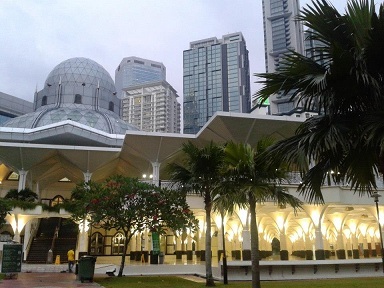 With an entrance fee of RM5, the palatial behemoth stands on an elevated hill. UNFORTUNATELY, no CAMERAS are allowed!!!!!! I was so pissed off because when my friends went there during the exhibition early this year, they were allowed! 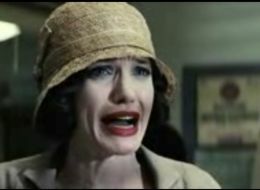 Urgh! And what was more with the female officer who was standing at the front of the entrance showing no “friendly face” AT ALL!!!! Arrogant expression! I was angry that I slammed on the spot criticizing the lack of “interpersonal skill”. My company heard that and told the chief officer (who was friendly) to reprimand the junior female officer! Well, she should be reprimanded! Who says “front desk” job is easy???! Anyway, indeed the palace was luxurious. Well, fit for a King but on the other hand, it makes me jealous. On a logical basis, every plain Joes and Janes will feel dissatisfy with the lifestyle, right? I mean, even the electrical fuses were plated with gold (or perhaps gold-coloured? LOL) and such a grand bedroom and bathroom. But then again, of course it should be grand; I mean it was KING’s place! It should signify the emblem of a superiority, right? Since I couldn’t take pictures INSIDE, these would do! Arghhh! But kinda pissed off. A note on the history (you know I am a historical freak!). Originally, it was a mansion owned by a Chinese millionaire named Chan Wing, in 1928. It was used as the Japanese Headquarters during the Japanese Occupation in Malaya and later converted into a residence of Sultan of Selangor. In 1957, the Federal Government bought the mansion. 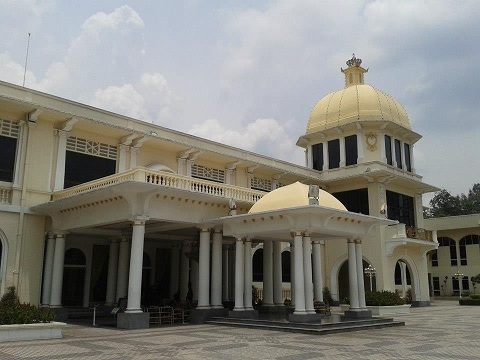 It was used as the official Malaysian Palace up until 2011 where the new National Palace is finally unveiled. 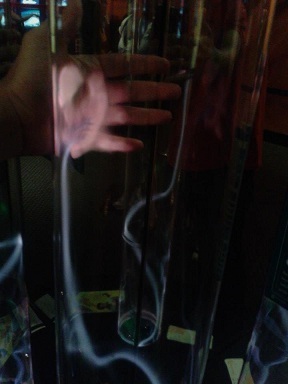 The plasma wave! Felt like an X-Men! 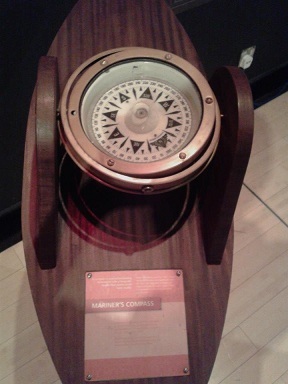 A mini simulator to depict how a typhoon occurs. 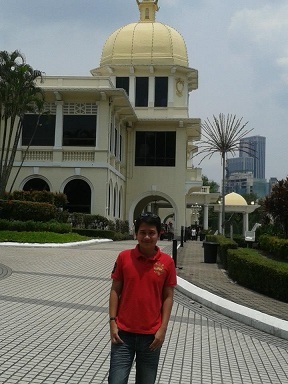 Done with The Old National Palace, we proceeded Kuala Lumpur City Centre of KLCC. 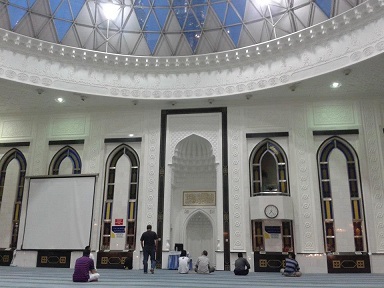 Well, I have to say that I am not a frequent visitor there so I thought that it would be nice to set a change; after all I heard that an exhibition of “Science Of Sultans” is held at PetroSains (always hear the promo at IKIM.fm; and I never ever enter PetroSains! ); so we just went there. So happened that we were given 50% discount to enter both PetroSains & “Science Of Sultans” Exhibition, totaling to merely RM19.50. I said, it was really a commendable price & since I love informative/historical places, this was just nice. 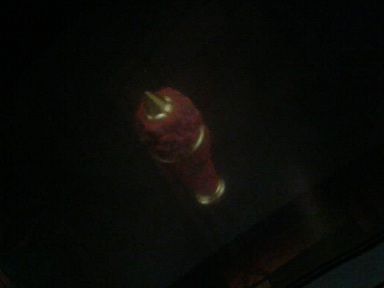 A hologram! Jem & The Holograms? LOL! 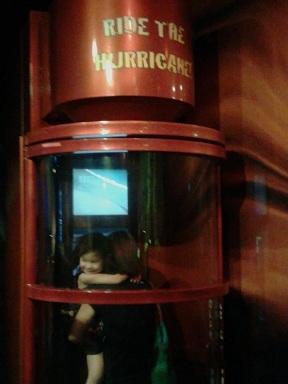 The hurricane simulator. 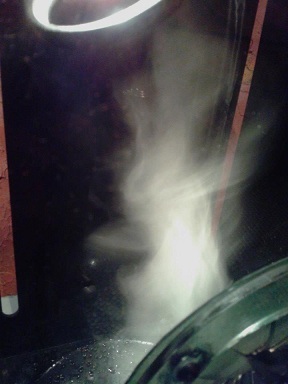 You can feel the effect within a calculated strength of a hurricane inside. Unfortunately, the queue was a bit long. So, I skipped this. 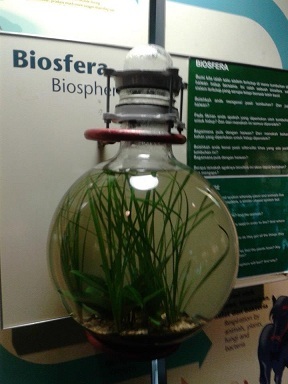 The Biosphere model, a depiction of how our Earth functions as. The model of an oil platform/oil rig and a racing car. I have to say that PetroSains is a nice place to bring pupils or the young kinds or anyone who love informations/hungry for information or knowledge. There were just so many good information pertaining oil and gases, right from the historical till the practical aspects. 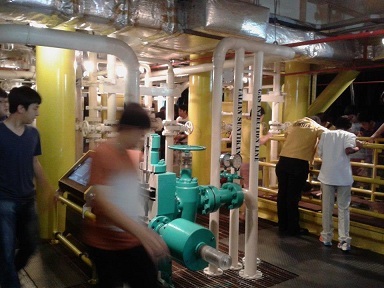 A platform for PETRONAS to channel their social corporate essence, PetroSains is a brilliant place. 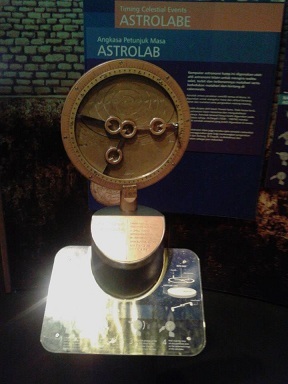 Personally, I feel that Malaysians should be proud and visit PetroSains. A benchmark for the development of Science in Malaysia! 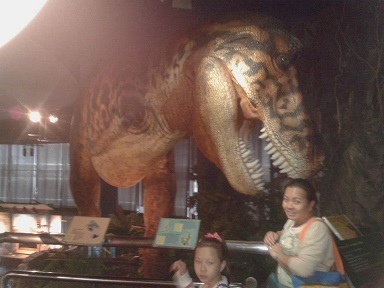 For more information, you can visit : http://www.petrosains.com.my/about-us/index.php. 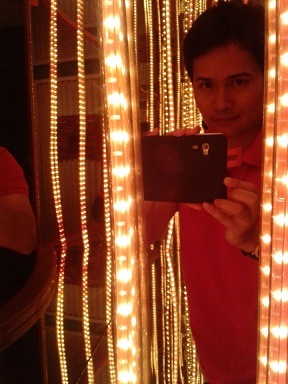 I enjoyed my 2 hours roam inside PetroSains! 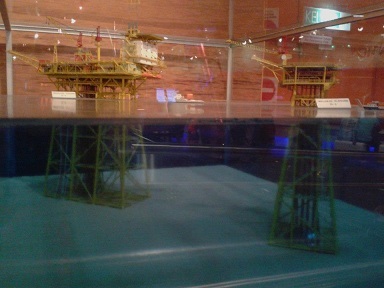 The model of the oil rig as well as the electronic information. 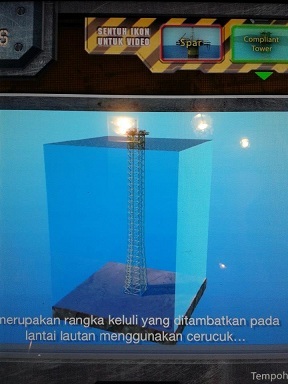 Amazing to know how deep the oil rig could be planted under the sea! 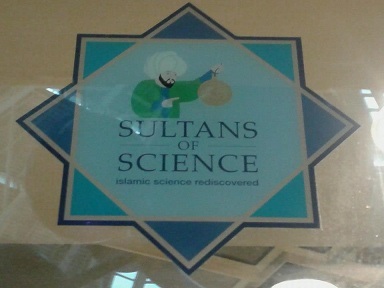 Next, we went to “Science Of Sultans”. 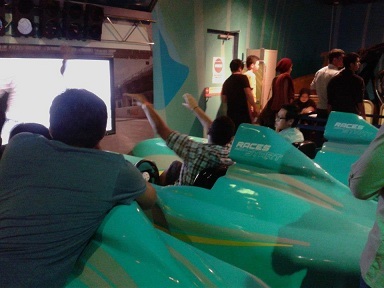 It was just a mini exhibition in PetroSains. 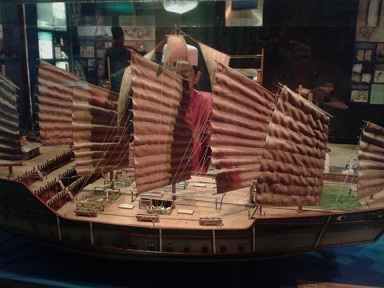 Nevertheless, I was so captivated with the various artifacts and invention created by the Moslem inventors in the olden days! Imagine how their minds worked so brilliantly to discover the secrets of the nature and the human bodies! Amazing, Subhanallah! 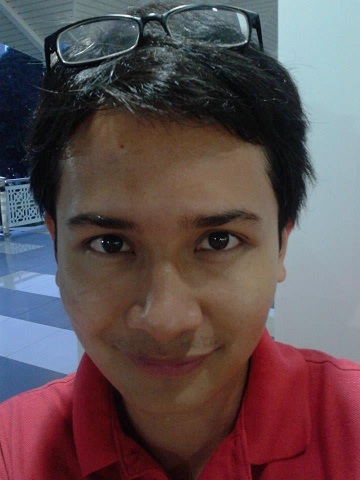 AND, I was quite surprise to find that an FB friend, Mustakim Bahrudin was the Science Talk officer. It was quite a fun session with him. (,”). 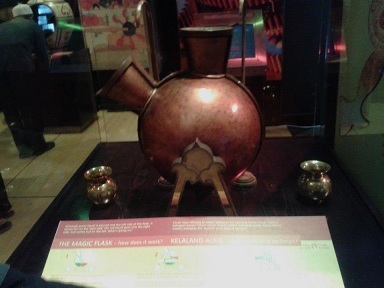 You guys can check this site for more info on “Science Of Sultans” at : http://www.petrosains.com.my/sultansofscience/. 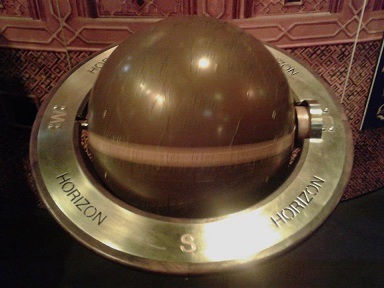 The constellation globe & the junk replica used by Admiral Zheng He. 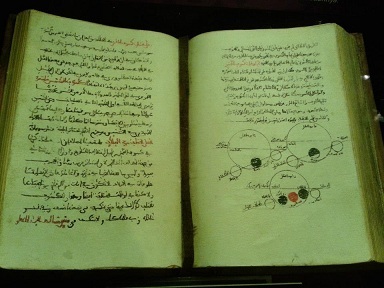 An old book studied on the planetary system. Fascinating! 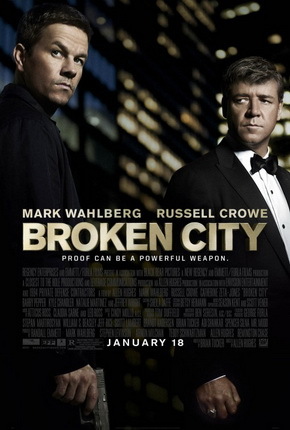 Watched “Broken City” starring Mark Walhberg which coincidentally, a movie that depicted on the sly games of politicians – so happened that Malaysia now is experiencing fever of the upcoming 13th General Election!!! Hahahaha. Not a bad movie with strong message. ← Disney & The Teen Idol’s Factory : The Behemoth Powered By The Tweens’ Marketability!